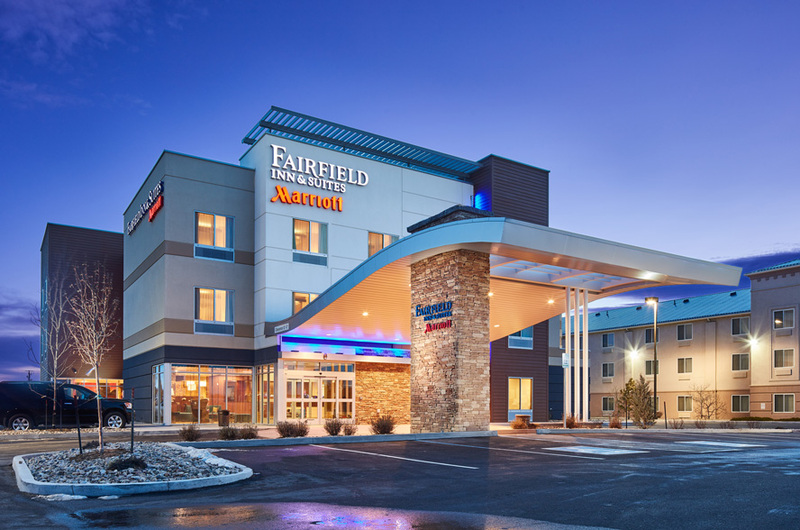 Over the course of 70+ projects, we’ve developed relationships with both the WoodSpring corporate team and franchise hoteliers as a preferred architectural partner, more recently in the development and rollout of the hotel chain’s new prototype. The design intent of the new prototype had multiple goals. 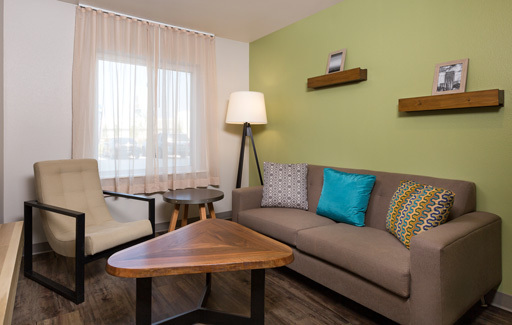 First, it needed to differentiate WoodSpring Suites from the previously-known-as Value Place brand, and support the company’s new goal of broadening its customer base. Second, design solutions needed to work alongside the new brand to communicate a more modern guest experience. The exterior design uses neutral tones, stonework, and a gabled canopy to create texture and dimension, while wood-like flooring and a blend of light and dark finishes continue those same themes for interior spaces. 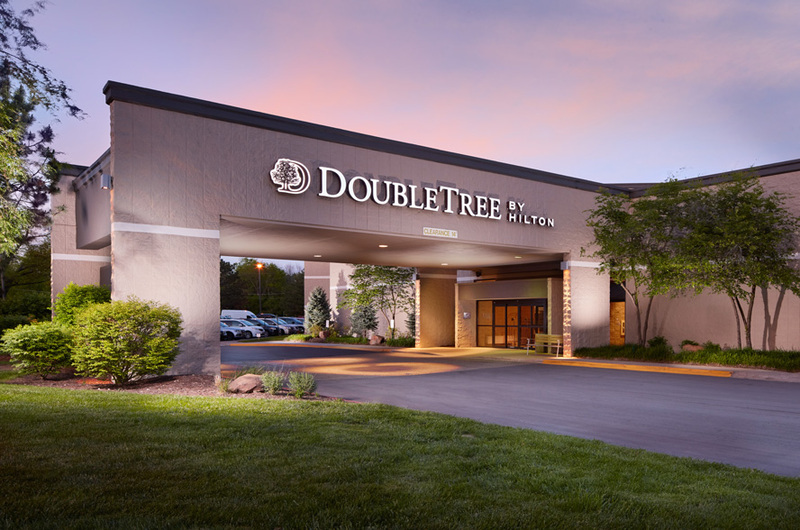 Project locations include both prototype and non-prototypical properties in markets throughout the U.S. For non-prototypical properties, our team provides thorough coordination between hotel owners and the corporate team.